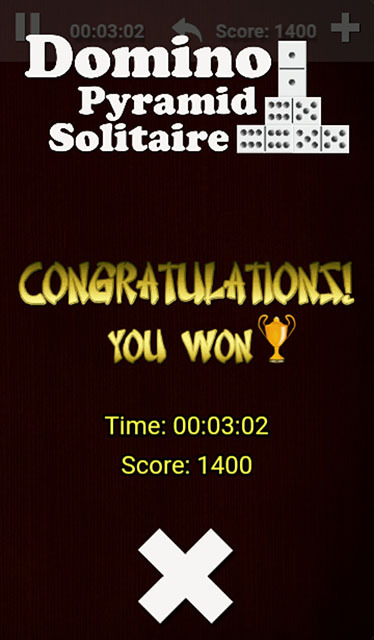 If you are a fan of old-school board games like Domino and Mahjong, the app ‘Domino Pyramid‘ is just the right one for you as it combines both and lets you play them on your phone. Find out more below! 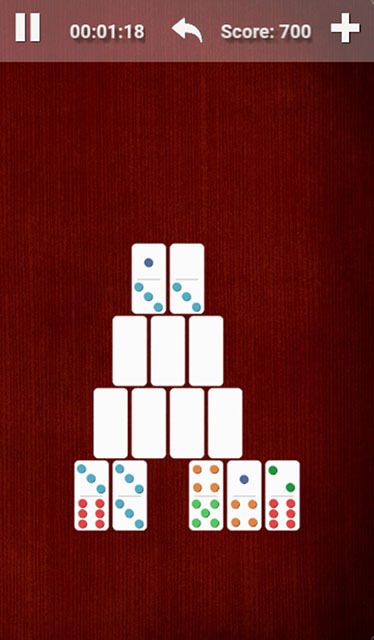 Domino Pyramid is the Domino version of the classic game Pyramid Solitaire. Here you try to demolish the pyramid by finding domino pairs that amount to the sum of 12. The rules are easy to understand, but you get a short explanation as well. I like that there is more to the gameplay then just finding pairs. You have to solve some basic mathematics functions on top. A fun way to keep your brain fresh! The smooth controls that react promptly are another great point. You click onto the tiles and they are immediately chosen (or vanished if you happened to find a pair). Personally, I love the retro feel that the game design develops. You can almost feel the wooden surface, the coloring is nicely done and the sounds are quite realistic. The tiles click like the mahjong stones from our board game at home. It definitely brings back that old-school feeling and the memories of cold yet cozy winter evenings playing games. Regarding the soundscape, this game has great sound effects on the one hand, on the other hand it could really use some music. It is just too quite and emphasizes the slight monotony the game has. Which brings me to my next point. While you can see your best time, your average score and games won, there are neither achievements or new design themes to unlock nor a global leader board. So you just quietly click onto the tiles and add up sums. It can get a little dull, therefore I would love to see some additional goals or progress statistics. Lastly, I think it would be nice to have an overlay, that tells you when it’s Game Over and you don’t have any more moves. I didn’t like looking for a solution, when there really is none anymore. If you have some spare time or like to use your brain once in a while (), why not kill two birds with one stone and download the app here?